Chief Executive Jim Dillon will leave at the end of June. Scarborough Council is unlikely to have a new chief executive in place before May’s local elections. Following the announcement on Monday that Jim Dillon will retire from the role he has held for 13 years in June, the authority will now begin the search for his successor. However, due to the upcoming elections for the borough, the new man or woman is very unlikely to be in place any time soon. An advert will be placed for the role, for which Mr Dillon was paid a salary of approximately £110,000 in 2018, and an appointments committee will be set up. The leader of the council, Cllr Derek Bastiman (Con), and the leader of the opposition, Labour councillor Steve Siddons, will both be part of the committee. The committee will sift through the applications and conduct interviews. A recommendation will then be made for the full council, which will make the final appointment. 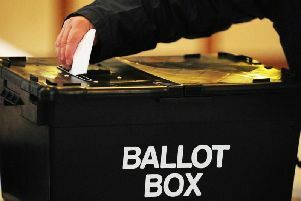 However, due to the upcoming borough elections on May 2 the council will enter purdah six weeks earlier in March, meaning no major decisions will be made by the authority during that time. This means the appointment of a new chief executive could be the first decision of the new 46-person council in May. Mr Dillon announced his intention to step down in order to “explore new challenges”. Speaking following the announcement of the chief executive’s plan, Cllr Bastiman said Mr Dillon’s “commitment to the authority is second to none and his experience on delivering transformation has improved the performance of the council and our borough tremendously”. Cllr Siddons also thanked Mr Dillon for his service. He said: “As leader of the main opposition party, I have worked with Jim over the last four years and, whilst we don’t always agree on the way the borough is developing, I have always found him helpful, courteous and knowledgable. Scarborough’s MP Robert Goodwill (Con) said any successor would “have big shoes to fill”. He added: “Along with the political leadership, Jim has delivered a number of big projects that have helped in Scarborough’s renaissance.